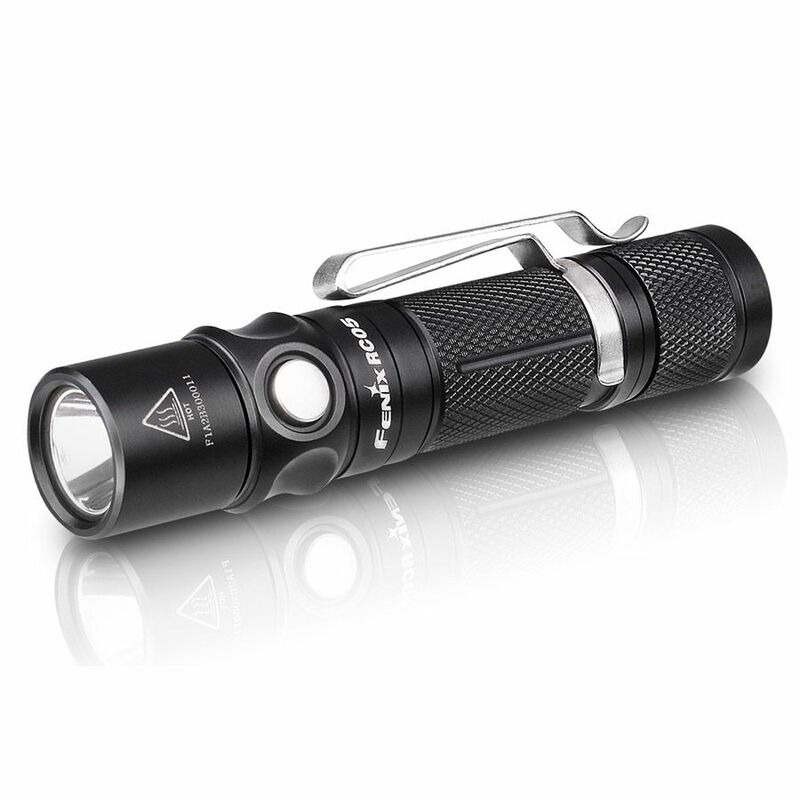 The Fenix RC05 flashlight is a must have for hiking, camping or every day carry. 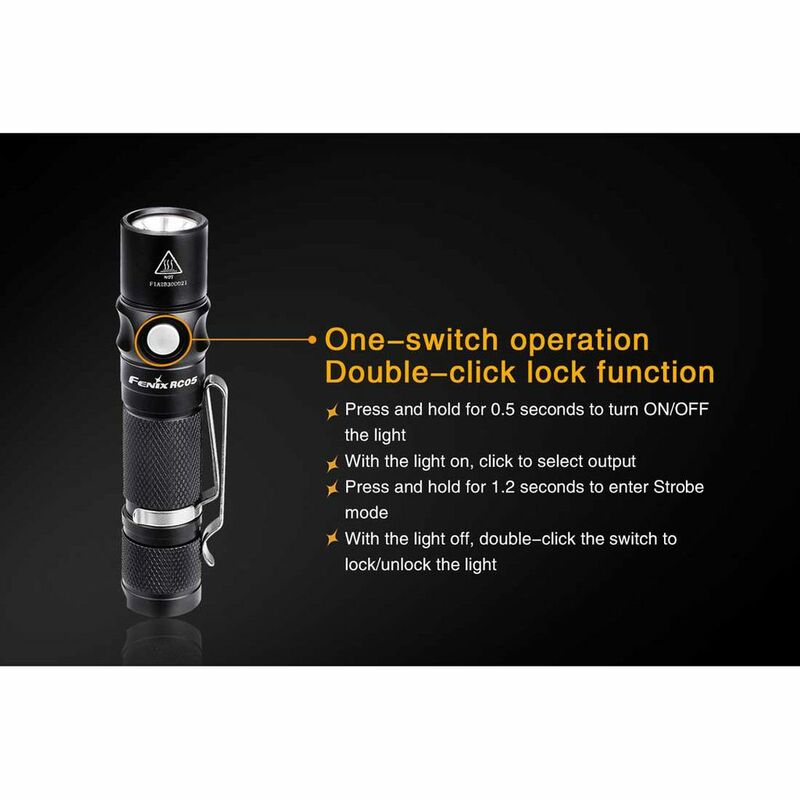 This rechargeable LED flashlight features a maximum 300 lumens and is powered by a single 14500 rechargeable Li-ion battery, or can use a standard AA battery as a backup at reduced performance and no recharge ability. 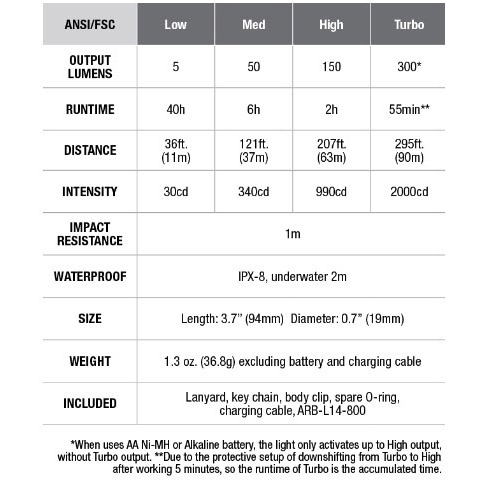 Recharging the flashlight is easy with the magnetic, dual-purpose Micro-USB charging cable. 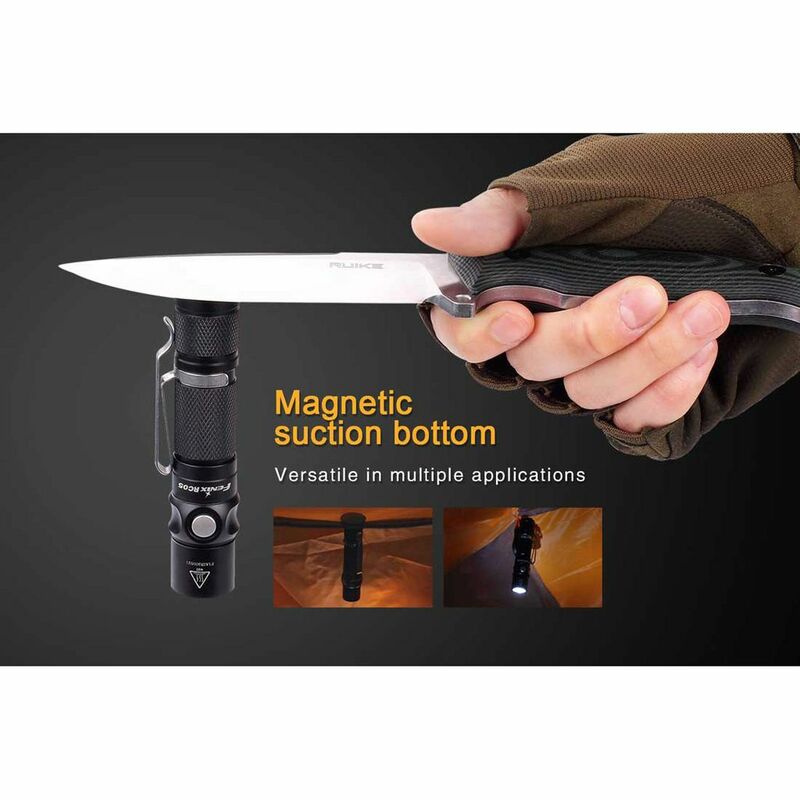 The two-position clip is great for different carry positions and the magnetic suction bottom allows the flashlight to be mounted to metal for limitless lighting options.